Our learning experts and methodologists will support you by designing of planning and timing frameworks, check-lists and tools for training support, and by offering a methodological mentorship aimed to the best accomplishment of the different steps of the project. dTeam provides templates expressly created to support planning and information collecting&control. 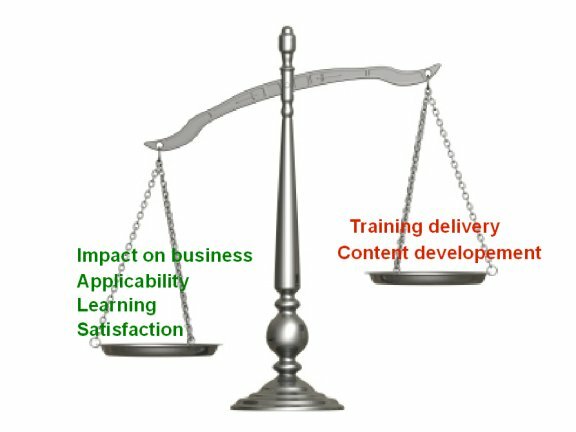 Easy to read and fill-in, these templates support each stage of the training process, from design to evaluation of the elearning ROI. Delivery of customized manuals focused on the use of collaborative tools (forum, virtual classroom, Wiki...), on reports, monitoring and evaluation data analysis. 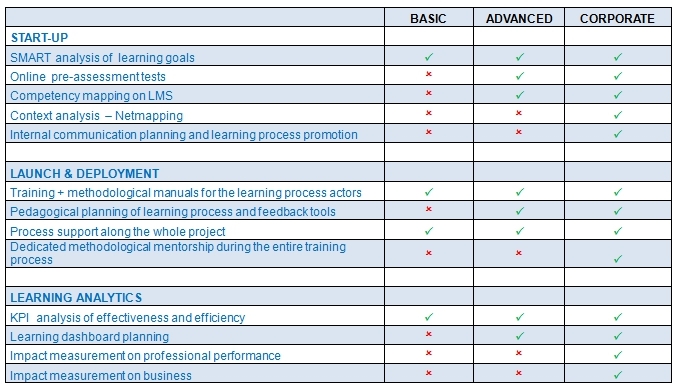 Depending on your needs, you may receive an offer of services segmented into three different consulting levels: from design of a single course to design of a complex service as a corporate training Academy.